Trending at $153.32eBay determines this price through a machine learned model of the product's sale prices within the last 90 days. Condition is Used. H a s n o power c o r d see pictures for Condition. BOSE PS3-2-1 II POWERED SPEAKER SYSTEM ACOUSTIMASS MODULE - SUBWOOFER W/ power cord. Condition is Used. Shipped with USPS Parcel Select Ground. Included are the subwoofer and power cable. Four felt feet have been added to the underside. Bose Acoustimass 6 Series 3 Subwoofer Only. 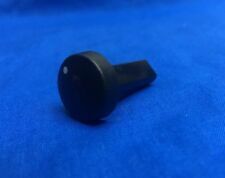 Bose Acoustimass Powered Subwoofer PS18/PS48 amplifier, part number 277096-132F. Pulled from a working unit. Model : Acoustimass 30 Series. There are no large dents, bends, or breaks to be found throughout it. It has been tested for power, it has not been tested for performance. Type : Subwoofer. Subwoofer Type : Powered/Active. Bose PS3-2-1 Powered Subwoofer. Condition is Used. Shipped with USPS Parcel Select Ground. Bose Acoustimass 10 III. ONLY Powered Subwoofer. What you see in the picture exactly what your get. scratches on the body. Bose Acoustimass Lifestyle Series 8 Active Subwoofer Black Color With Power Cord. Condition is Used. Shipped with FedEx Ground or FedEx Home Delivery. No other cords or accessories are included. Sold as is. It works, and includes the power cord. There is no 5 Pin audio cable, and no other speaker included. Have a look at the photos. Item(s) seen in photos is the actual item(s) you will receive. Plain & Simple. Bose Power Subwoofer With All Wires. Condition is Used. Shipped with USPS Parcel Select Ground. FOR SALE: A Bose Powered Acoustimass 30 Series II Subwoofer with power cord in GOOD condition (see photos). Item is being sold as is. The Sub Is Compatible W/Almost All LifeStyle Systems: LS-18, LS -28, LS-35, LS-38, LS-48, T-20, V-10 V-30, V-35, V-235 etc, etc. Power Cord. Bose Acoustimass 30 Series II. Powered Subwoofer (White). For Lifestyle 24 30 50. Su bw oo fe r is v er y wo rn o n th e ou ts id e an d sh ow s severals ig ns of we ar ( yellowing, scratches, sc uf fs ,). Works great!! Listing is for what you see in picture. Expect some kind of wear from use. Good condition!! This is a MINT condition BOSE ACOUSTIMASS 5 Series IV Powered Subwoofer w/ Power Cord. Picture # 2 shows exactly what you will be getting. Picture # 10 shows this cable. I am the original owner of this subwoofer, and it works perfectly! This subwoofer is in good used working condition. It has been tested successfully. BOSE ACOUSTIMASS 6 SERIES II SPEAKER/POWERED SUBWOOFER SYSTEM W/ CABLES Tested! Good used condition with signs of fully tested and functional. Minor ding on one top corner. 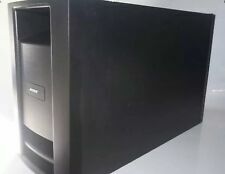 Bose Powered Acoustimass 25 Speaker System Black Subwoofer - Sub ONLY . Condition is Used. Shipped with USPS Parcel Select Ground. This unit has a few scratches, but is in great condition overall and sounds perfect. This is a pre-owned subwoofer speaker system. The Subwoofer pictured is Exactly what you will receive. Bose Acoustimass 6 Series III Powered Speaker System Subwoofer Only w/ Bose Power Cord. Main unit only, no cables/remotes/speakers. 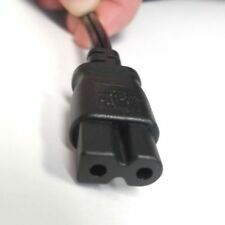 This is specifically for the AV38 system and will NOT work without the matching cable. Requires a power cord and proprietary linking cable to work (not included). Overall good condition with normal wear. Includes power cable. Bose PS 28 Series III Powered Subwoofer Lifestyle 28 38 48 V25 V35 and T20.